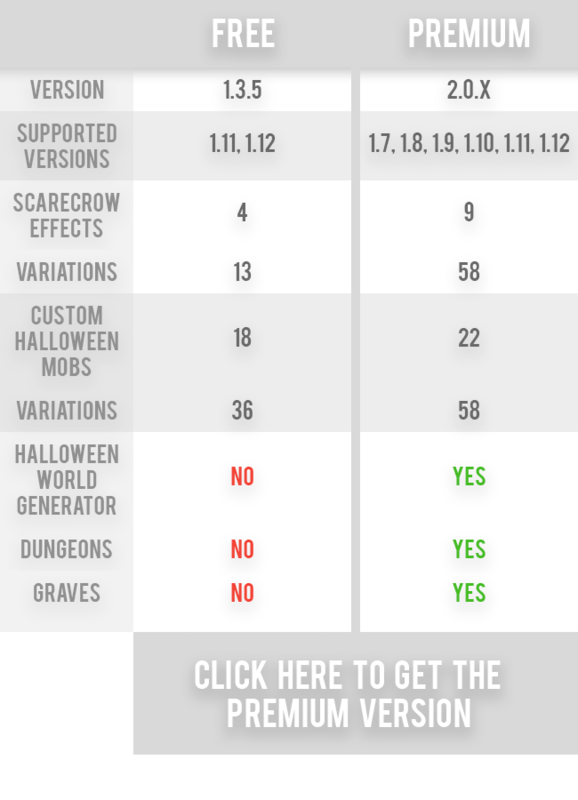 I recently released a premium version of the MysterioutHalloween plugin (MysterioutHalloweenPlus), with many great new features, optimizations an an epic HalloweenWorld generator! + The config option "StackedStime" to "StackedSlime". Rocologo and BrettPlayMC like this. + Fixed a small bug with the /uf reload command. Updated to Spigot / Minecraft 1.11 (The last version for 1.10 is 1.2.5)! + A support for the Tab-Completion for every command. + The loading of the Help-Messages. + The saddles of the custom mobs. + Fixed some smaller things.